You took out your first payday loan. Then, one thing led to another and now things are quickly spiraling out of control. You may be stuck in the payday loan debt trap. It’s a cycle that many payday loan borrowers find themselves in. If you’re feeling stuck, but aren’t sure where to start, start right here. 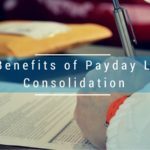 We’re a payday loan consolidation company, and our team specializes in stopping online payday lenders automatic debits from your bank account and getting you real-time relief from the overwhelm of unmanageable payday loan debt. If you’re here, though, you’re probably wondering whether or not you’re really stuck in the payday loan debt trap. So, if you’re wondering whether it’s time to take action and seek help, read through our 6 signs below. If one or more applies to you, contact our team today to find out how we can help. 1. You’re feeling overwhelmed and stressed. This is one of the first tell-tale signs that you may be stuck in the payday loan debt trap. If you’re stuck in a cycle of payday loans, it can become very overwhelming and stressful. Not only do you feel financially trapped by your loans, but you’re experiencing pressure from lenders and are falling behind on other financial obligations. Stress and overwhelm may show up as anxiety or constant worrying about money. The stress can even cause frustration and problems in other areas of your life, as well. If you’re feeling overwhelmed and stressed about your payday loans, you may be stuck in a cycle of payday loan debt. 2. After paying your loans, there’s not enough left to cover rent. If your monthly payments are so large that keeping up with them means not having enough money leftover to cover your rent/mortgage, you may be stuck in the payday loan debt trap. For many, taking out one payday loan leads to taking out multiple payday loans. In fact, the average payday loan borrower takes out 8 loans per year. If you’ve rolled over your loans so many times or have taken out so many payday loans that your monthly payment is unmanageable, chances are, you’re having a hard time paying your other bills, as well. 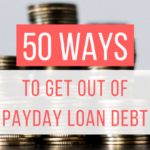 If you find yourself without enough money left to pay your rent/mortgage after you’ve made your monthly payday loan payments, there’s a good chance you’re stuck in the payday loan debt trap. 3. You’re receiving numerous calls a week from payday lenders. Payday lenders can be aggressive in their attempts to contact you. Some borrowers receive multiple phone calls a day. 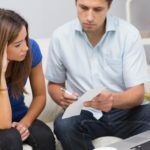 If payday lenders are contacting you continuously, it may mean that you’re falling behind on payments and your lenders are not happy about it. If you’re falling behind on payments, it’s most likely because your monthly payments are too big to keep up with. Your monthly payments to payday lenders can get out of hand if you’ve taken out numerous payday loans or continued to roll them over again and again. This financial pressure from the constant contact by your lenders can lead to more stress and overwhelm. If you’re receiving numerous calls a week from your payday lenders, give us a call. Not only can we consolidate your loans into one lower, more manageable monthly payment, but we can also stop the calls from your lenders. 4. Your finances feel uncontrollable. If your money feels out of control, you may be stuck in the payday loan debt trap. When you’re stuck in the debt trap, one thing leads to another and before you know it, your monthly payments are unmanageable, you’re falling behind on important bills, and there’s not enough money leftover to buy the necessities, like groceries or gas. Feeling as though your finances are uncontrollable is a terrible feeling. You’re not sure where your money should go and you’re just trying to keep up with your monthly payday loan payments to keep the lenders off your back. However, with unmanageable monthly payments, things are bound to get out of control. 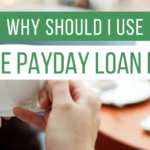 If you’re finding it difficult to manage your finances and your loan payments, you may be stuck in the payday loan debt trap. 5. You’re overdrafting your bank account. Payday lenders won’t stop debiting your bank account without warning and the overdraft fees are becoming almost as unmanageable as your monthly payday loan payments. Continuous, unexpected debits from your bank account can put your finances in a downward tailspin. Having money unexpectedly debited from your bank account, for most, leaves you short on money and, yet, having to cover the additional expense of overdraft fees. It’s also impossible to plan financially if you’re unsure how much money will be debited from your account at any given time, or how much you may end up having to pay in fees. If you’re in payday loan debt and find yourself overdrafting your bank account often, there’s a good chance you’re stuck in the payday loan debt trap. 6. You continue taking out more payday loans. You can’t manage your current payday loan debts, so you continue taking out more to try to cover your current monthly payments and bills. You’re only falling further into the payday loan debt trap, though. If you have multiple payday loans and are continuing to take out more, you’re stuck in a vicious cycle called the payday loan debt trap. There’s only one way out of the payday loan debt trap: stop taking out more loans. We know how difficult this is, though, when you’re already having trouble making ends meet. It can feel nearly impossible to do. If that’s the case, that may mean that it’s time to consider other alternatives. Our team specializes in payday loan consolidation. We take your multiple monthly payments and combine them into one, smaller, easier-to-pay monthly payment that will give you the financial flexibility to stop taking out more payday loans and start paying down the ones you already have. We’ve worked with thousands of people to help them escape the payday loan debt trap. We’re there to support you every step of the way, and we do more than just consolidate your loans. We also get lenders out of your bank account and end the constant phone calls. If you’re tired of feeling stuck and are ready to make a change, contact us today.